This wonderful Room-In-A-Box includes one of each: "Sleeping Beauty" Purple With Flower Garland Canopy, Diamonds Purple Beaded Curtain and "Chelsea" 4' Swirl Purple Chandelier. 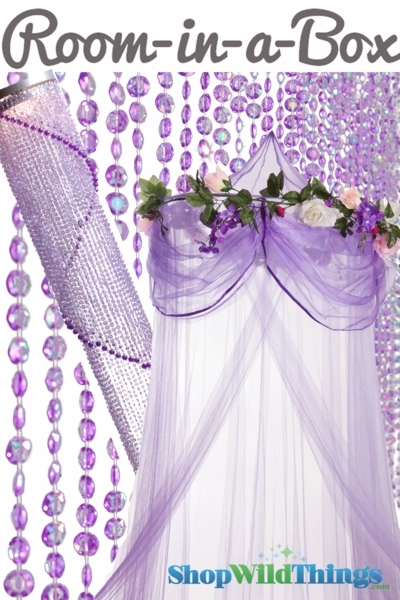 "Sleeping Beauty Canopy": Our New "Sleeping Beauty" Purple Bed Canopy is fit for royalty! It features the softest mosquito netting you've ever felt. The crown is topped with swags of sheer shiny organza and very high quality & beautiful silk flowers that wrap all the way around it. Hang it up and in minutes you'll have transformed your space into something from a dream! 100% Polyester Netting-Purple, top folding metal ring and netting decoration with garland of flowers 2' Ring Diameter x 8.2' Length, x 39.4' Fabric Circumference. Canopy mounting hardware included. 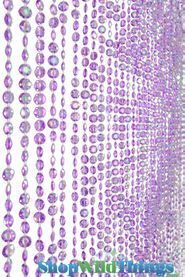 Diamonds Purple Beaded Curtain: 35" Wide x 70" Long: Our wonderful heavy-duty acrylic beaded curtains are a perfect addition to any room! Use in the place of regular doors, closet doors, or behind a bed to add height to any room! Very popular style WITH iridescent coating! 34 strands of beautiful diamond-cut beads! 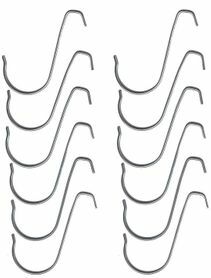 It hangs up in minutes using just 2 nails or 2 c-hooks. 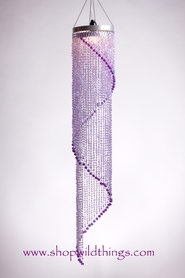 "Chelsea" Swirl Purple Chandelier: These new lamps are the BOMB and it hangs from the attached chain and hook. The long swirl lamp is about 4 feet long...the chain and the hanging "frame" are silver colored and super-heavy-duty! 8.5" Frame Diameter. The "Chelsea" Chandelier does not include a light kit but if you do want an electrical cord that fits this chandelier, please see our Light Cord Kit.